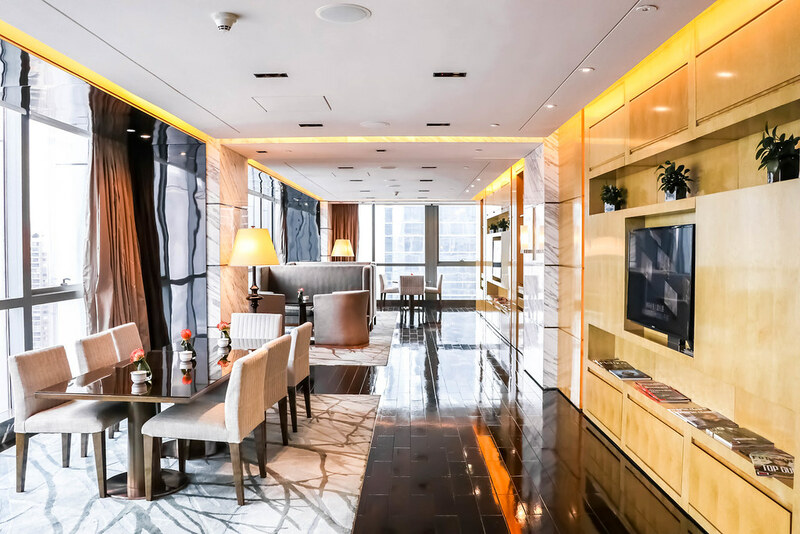 Located in the heart of China’s Silicon Valley, Four Seasons Hotel Shenzhen is great for both business and leisure travellers. The hotel’s contemporary design and high-tech amenities fit right in with the futuristic, international energy of the city. The hotel rooms and suites boast floor-to-ceiling windows. 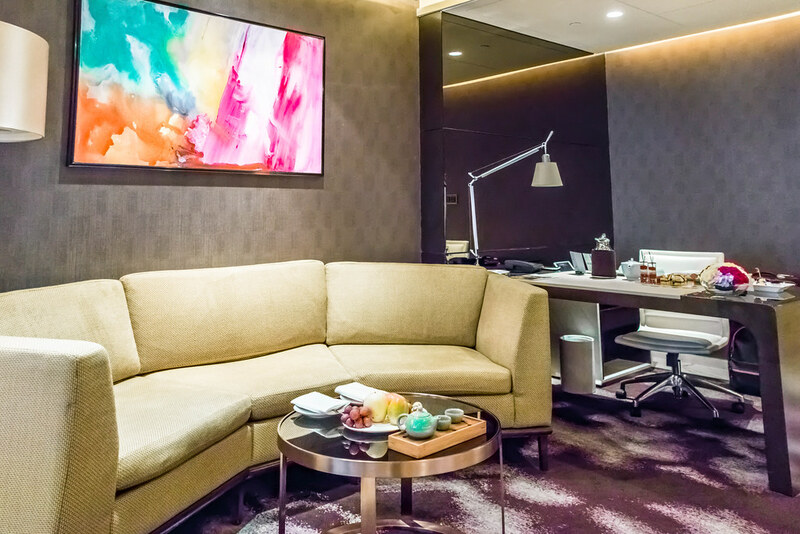 Depending on which direction your room or suite is facing, you’ll either get a view of “New York City’s Central Park” or feel as though you’ve been transported to “Silicon Valley”. Although my boyfriend and I were in Shenzhen, we didn’t feel like we were in China. We were actually pretty amazed by how modern the shimmering skyscrapers look, and how technologically competent the city is. 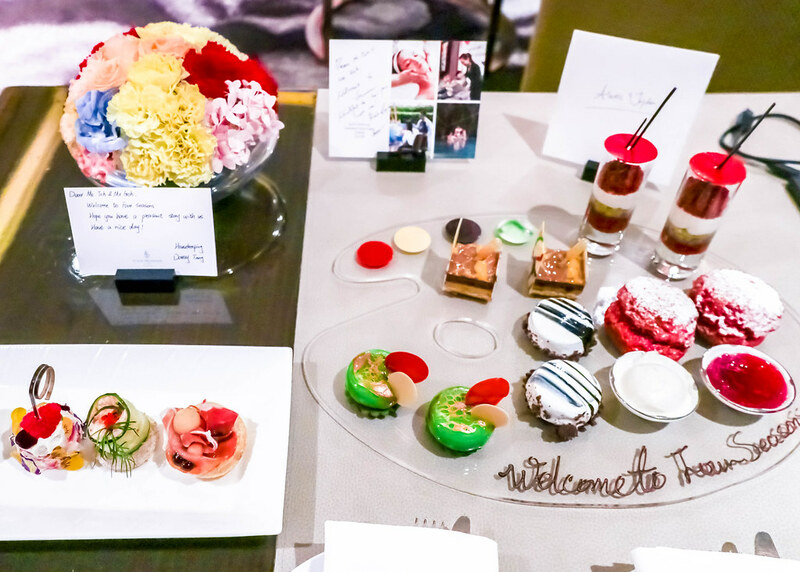 We were hosted in the Four Seasons Room featuring generous living and sleeping areas that are separated by a glass divider for extra privacy. We liked sitting by the window with coffee and sweet treats while watching the towering buildings light up colourfully in the evening. 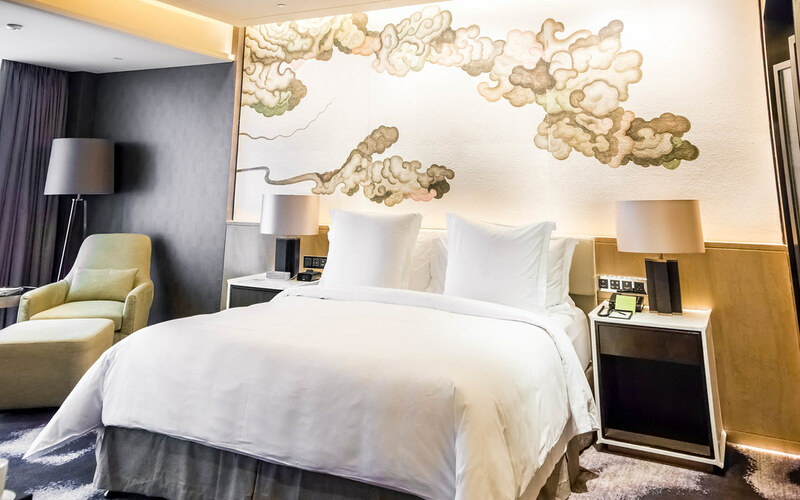 Apart from the floor-to-ceiling windows, the other highlight of the room is the dramatic Chinese brushwork over the bed which adds local elements to the room. We had a long bubble bath in the full marble bathroom with a free-standing tub after an exhausting day exploring Shenzhen. 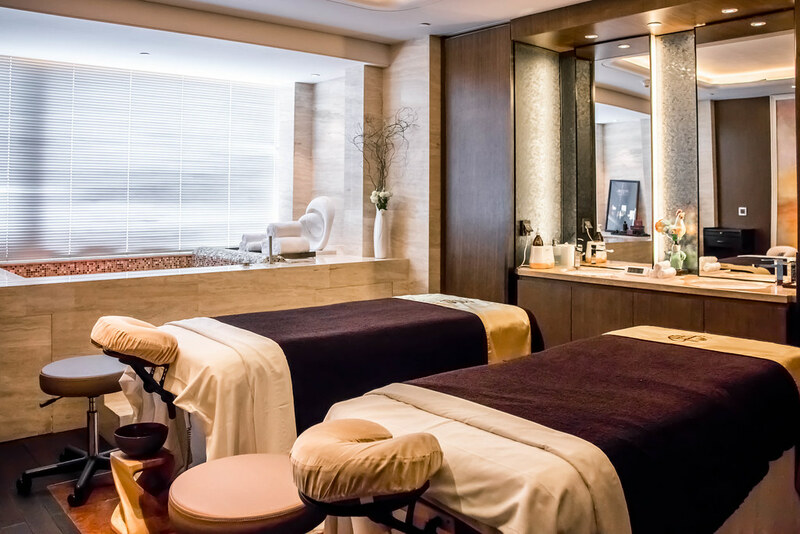 You can also relax at the Four Seasons Spa. The signature eaglewood treatment uses the dark, resinous heartwood prized in ancient China to de-stress, soothe and treat aches and pains. Facial treatments and body therapy treatments are also available. For ladies who enjoy swimming but are afraid of getting tanned or sunburnt, you can use the climate-controlled indoor pool. 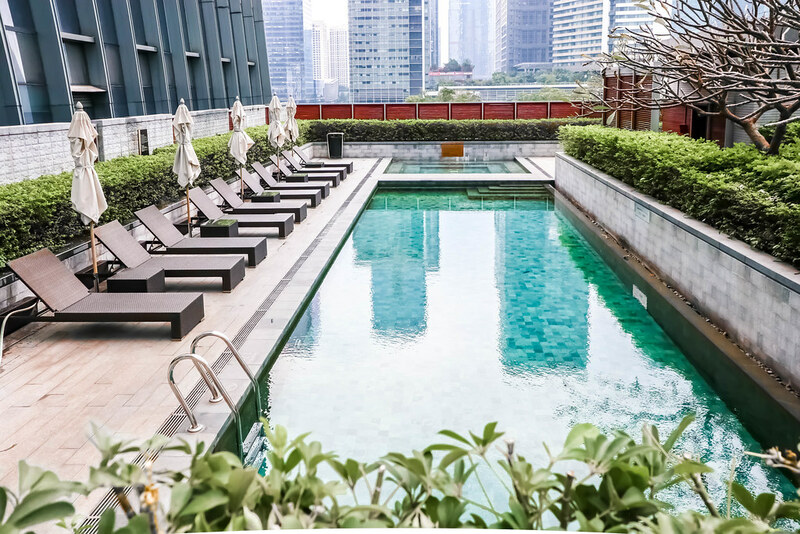 For the rest who love basking in the sun, you can head to the outdoor lap pool and hot tub. 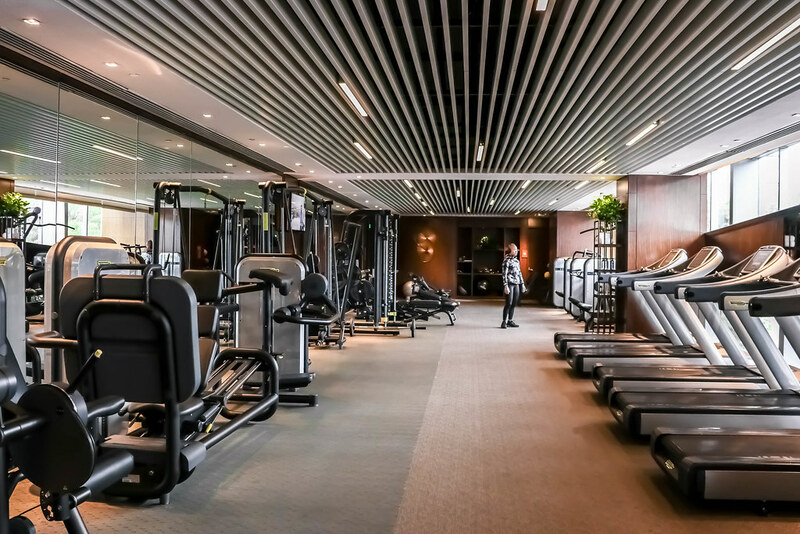 If you prefer working out to keep in shape, just pop by the fitness centre. The Executive Club Lounge is on the 29th floor and opens from 6.30am to 11pm. 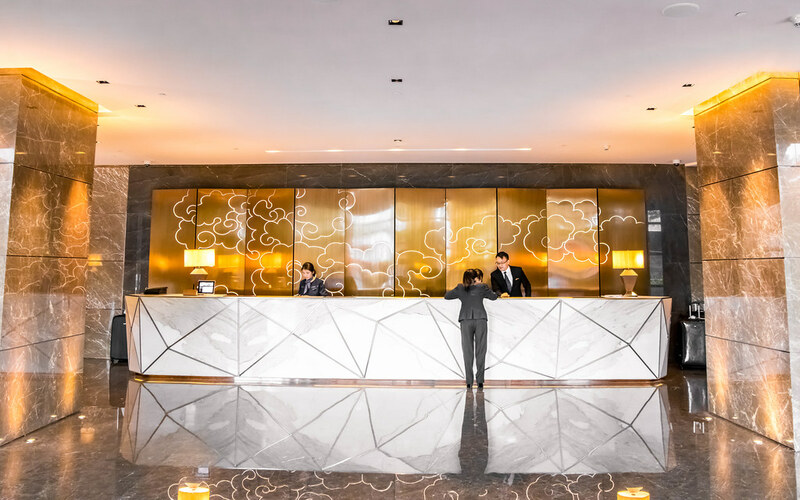 A variety of services and facilities such as personalised arrival and departure arrangement, personalised concierge and business centre services, pressing service, one-hour usage of the Executive Meeting Room per stay (subject to availability), and more are available. We had breakfast at the Executive Club, and were impressed with their mini Portuguese egg tarts. 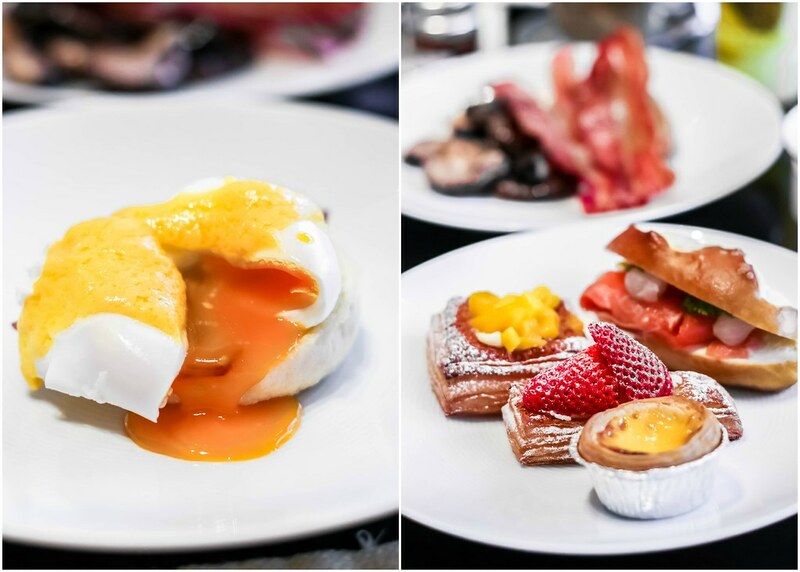 Afternoon tea is served between 2.30pm and 5pm while cocktails and canapés are served from 5.30pm to 8pm. 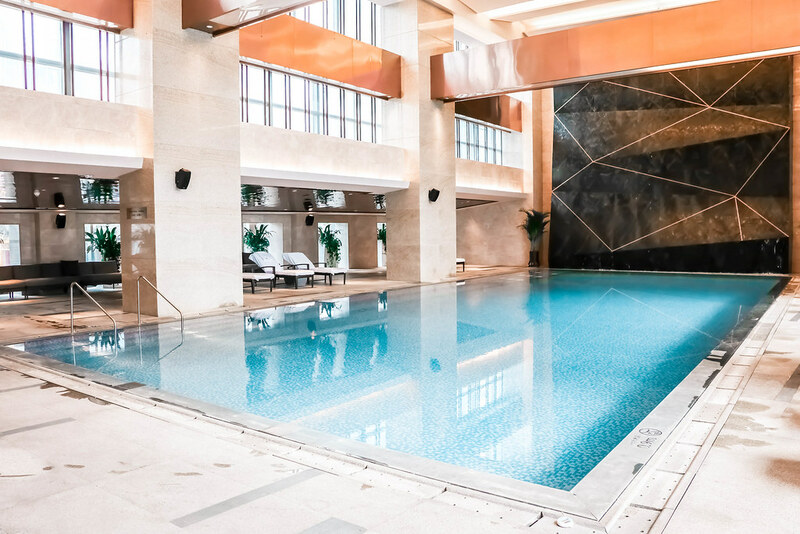 All in-house guests are welcome to join Executive Club daily supplement at 550 RMB for single occupancy, 700 RMB for double occupancy, and 850 RMB for triple occupancy. 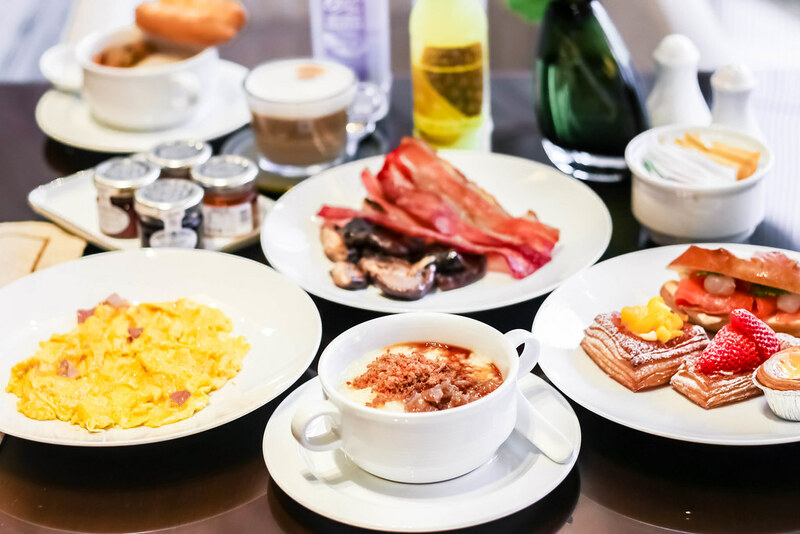 Besides having breakfast at the Executive Club, you can begin the morning with an extravagant breakfast buffet at FOO. 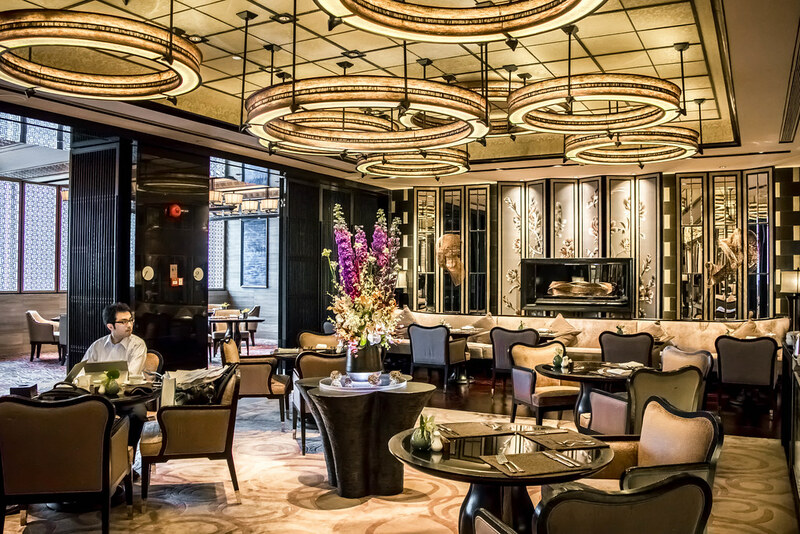 While FOO offers international cuisine, Zhuo Yue Xuan will delight you with an array of Cantonese dishes. 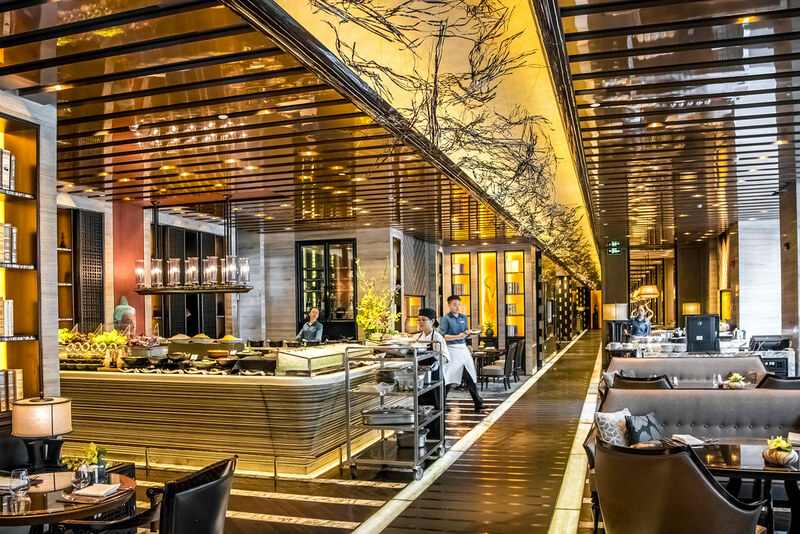 The Yi Bar & Lounge serves afternoon tea on the terrace and evening cocktails in the chic lounge. 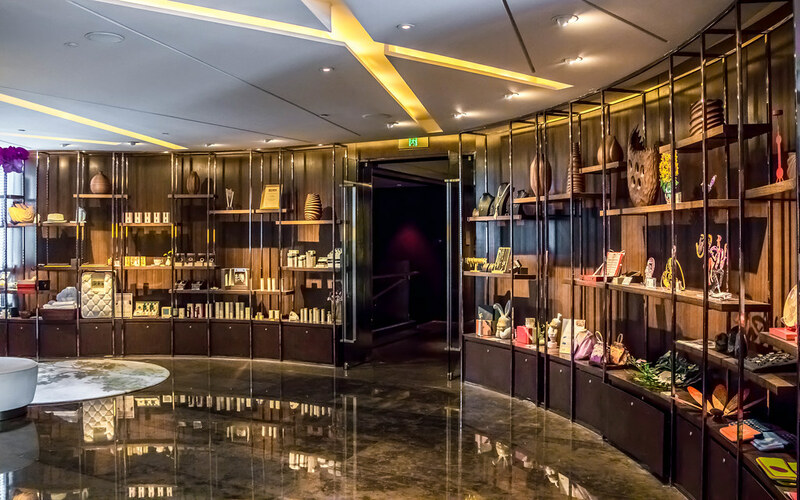 Staying at Four Seasons Hotel Shenzhen provided us with the ultimate convenience. 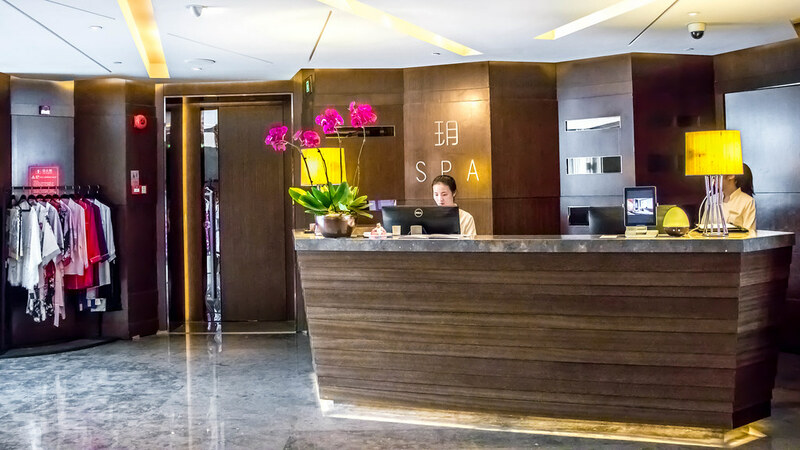 The Convention & Exhibition Centre MTR Station is less than 10 minutes’ walk away from the hotel, and the Wongtee Plaza shopping mall and CoCoPark shopping mall are within walking distance too. 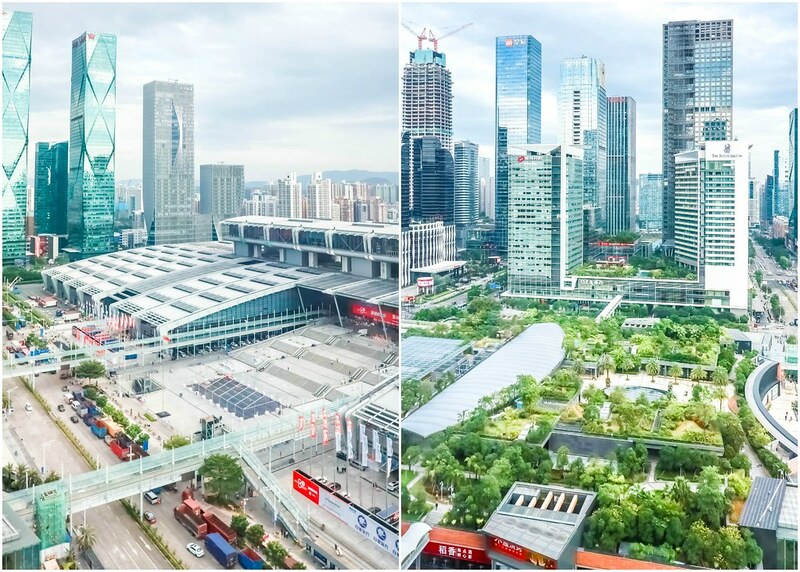 The hotel is surrounded by the Shenzhen Convention Centre, with green public spaces just steps away. The Stock Exchange and Civic Centre are 10 minutes by car. 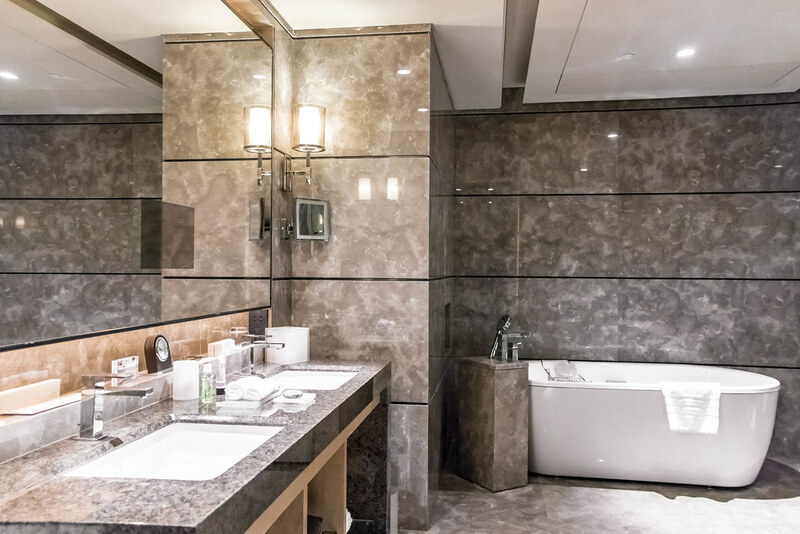 There is close accessibility to the high-speed rail connecting Shenzhen to Guangzhou and Hong Kong which makes for more convenient travels between cities, with Hong Kong just a 15-minute journey by train from Futian station to West Kowloon station. 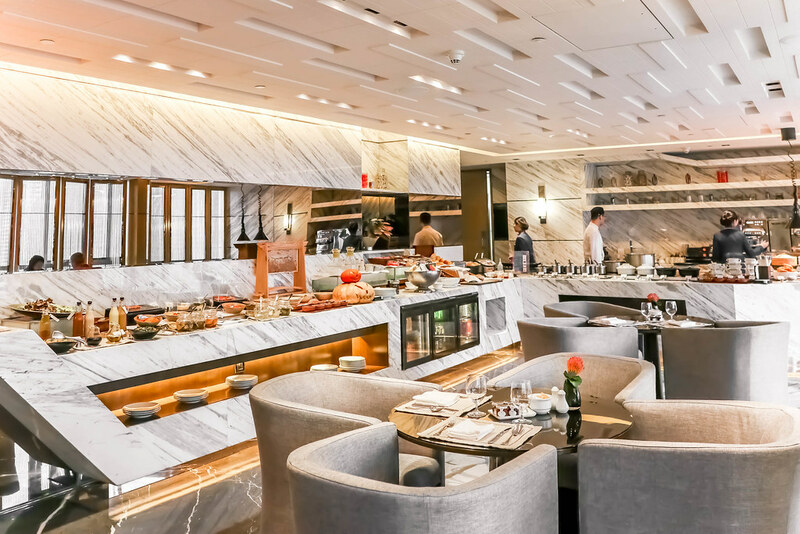 Four Seasons Hotel Shenzhen prides themselves in offering impeccable customer service, and our stay would not have been incredibly complete without the friendly and helpful team. It kind of felt like our home away from home.